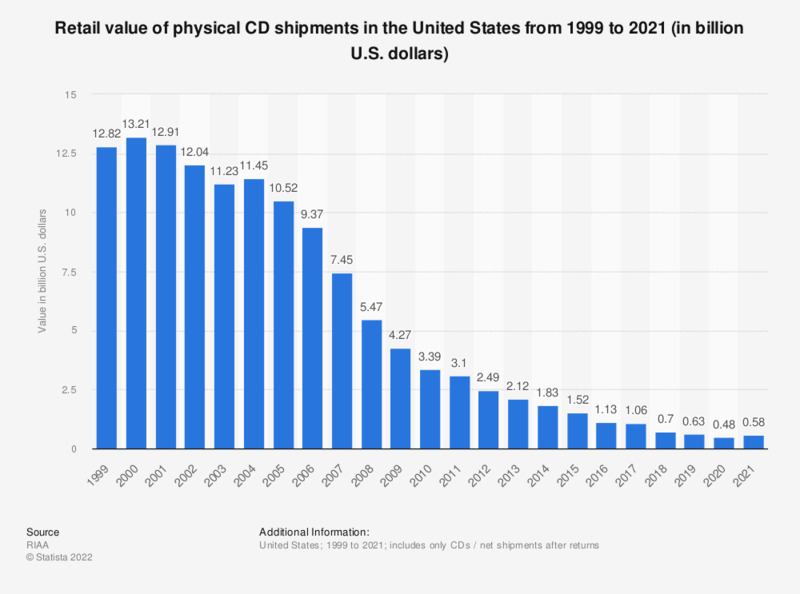 The statistic above shows the retail value of annual physical CD shipments in the United States from 1999 to 2018. The 52 million physical albums shipped in 2018 had a retail value of 698.4 million U.S. dollars. This marks a significant decrease from 2017, where the retail value of the 87.7 million CDs shipped amounted to almost 1.06 billion U.S. dollars. From 2016 onwards, the figure includes both CD albums and CD singles. Figures for the period 2004 to 2016 were taken from RIAA's earlier publications.